Gaining self confidence can be achieved with hypnosis because self esteem problems can be overcome through the power of the mind. 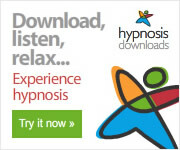 In fact there is no other way of doing it other than through the mind, and hypnosis is all about changing your thinking in positive and life-enhancing ways. If you suffer from low self esteem then successfully learning how to be confident cannot be achieved without changing the deep-seated thought processes that result in self esteem problems, and hypnosis is uniquely effective in doing that. On the one hand, low self esteem is not seen as a mental health issue as such, but on the other hand there is a link between your level of self esteem and mental (and physical) well-being. Living with negative self-belief, for example "instinctively" making the assumption that that you will fail in any serious endeavour, can over time lead to the establishment of a state of depression and frustration in your psyche. Low self esteem can also lead to social isolation because you feel that situations involving communicating with other people are always going to be difficult and stressful, or can lead to the avoidance of new challenges or projects because you feel that you won't succeed and that this would compound your negative feelings about yourself. As a consequence of this you miss out on numerous opportunities for self advancement of one sort or another. Poor self esteem also sometimes causes people to enter into damaging and abusive relationships, perhaps because they feel that "that's all they're good for". It can also lead to excessive drinking and drug taking, behaviour which of course frequently creates its own set of problems. Low self esteem has also been linked with habitual overeating. This obviously can cause serious physical health problems as well as compounding the negative self-belief. One of the main problems caused by poor self worth is the sense of self-loathing that it can generate. When you despise your very own thoughts and the actions that follow them you are clearly not adopting a positive attitude towards yourself or your life. Another disadvantage caused by poor self esteem is that you tend to think unrealistically about the standards that you should meet. You feel that you never come up to scratch in comparison to others, and that you never have and never will achieve anything of any real significance. There's a difference between being, for example, an artist, writer, scientist or businessperson or whatever who set themselves high standards and being someone who doesn't believe that they can ever do anything competently. As mentioned previously, low self esteem can be and quite often is linked with overeating and poor diet. Obviously one of the consequences of this is that you also end up with a negative self-image concerning your physique. This would have a detrimental effect on how you project yourself and relate to others, whether it be in the career, romance or social fields. Another problem created by lack of confidence and poor self worth is that you become over-vulnerable to criticism or even any comment made about you or to you. You tend to imagine that any run of the mill comment such as something completely bland like "you're looking a bit tired today" conceals behind it some awful truth about how hopeless you are. As for direct and actual criticism, this can feel almost overwhelming. Worse still, it would likely go on to reinforce your negative view of yourself. Low self esteem can also, in some cases, lead to outbursts of anger and possibly aggression. Everyone has experienced anger at one level or another, but living in and seeing the world through the prism of negative self-belief means that to some extent or other you believe that your feelings and thoughts are insignificant and so in some ways this will show and some people will react accordingly and you find yourself being overlooked and ignored. The sense of anger and frustration caused by this doesn't go away because you feel that it's "justified", rather it festers and grows inside leading to periodic outbursts of anger. These are some of the self esteem problems which are a result of negative self-belief. Overcoming them won't be achieved by trying to fight them or repress them. The only way to overcome low self esteem and the life problems caused by it is to change - deep down - your thinking about yourself. This requires "reprogramming" the subconscious in such a way that negative self-belief is replaced by positive self-belief and the easiest and most effective way of doing this is through the power of hypnosis.